Founded in 1869, by John James Sainsbury with a shop in Drury Lane, London, Sainsbury’s is now the second largest chain of supermarkets in the UK. 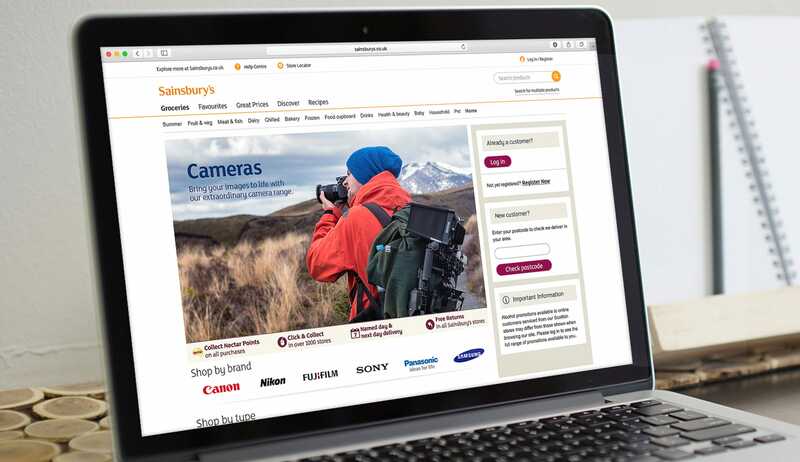 The supermarkets website Sainsbury’s.co.uk offers customers a wide product selection including; groceries, household items, electrical’s, clothes, entertainment and more. 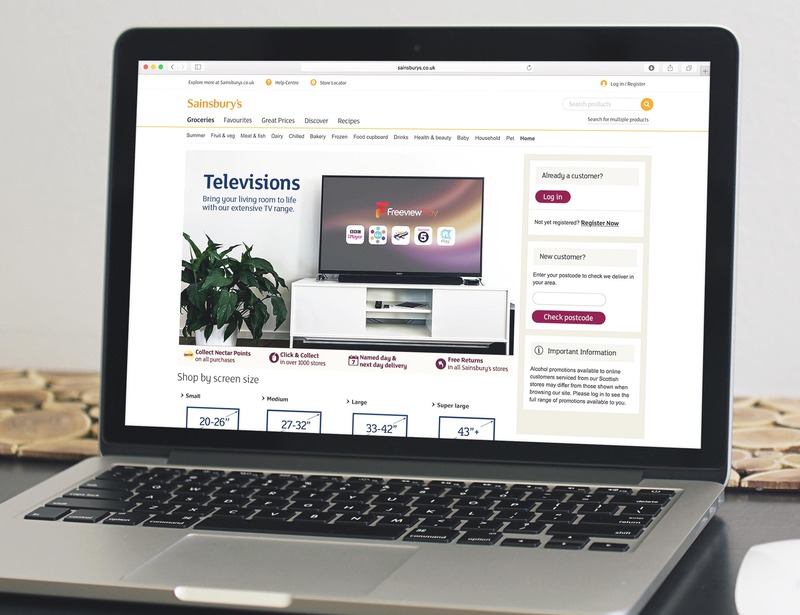 I was tasked to redesign Sainsbury’s Television and Camera landing pages to improve the user experience by delivering category specific navigation along with key quality messaging. Working with the trading and merchandising teams the pages were designed to be simple, easy to navigate and with buying choices in mind. 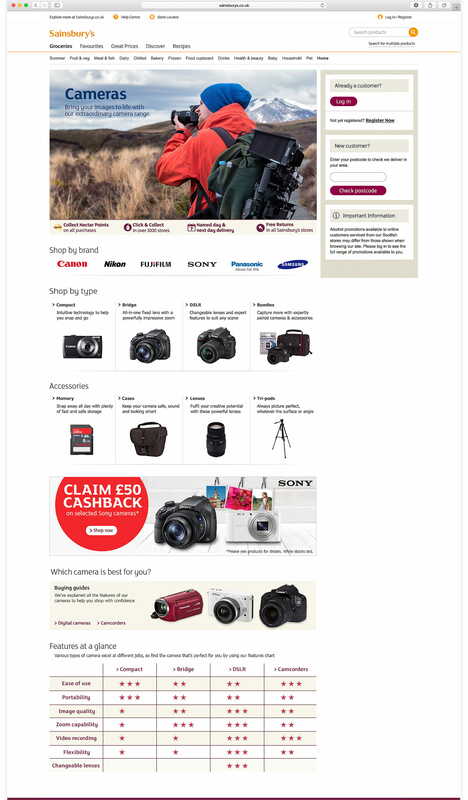 Using customer feedback we created and separated the pages into ‘shop by…’ categories. 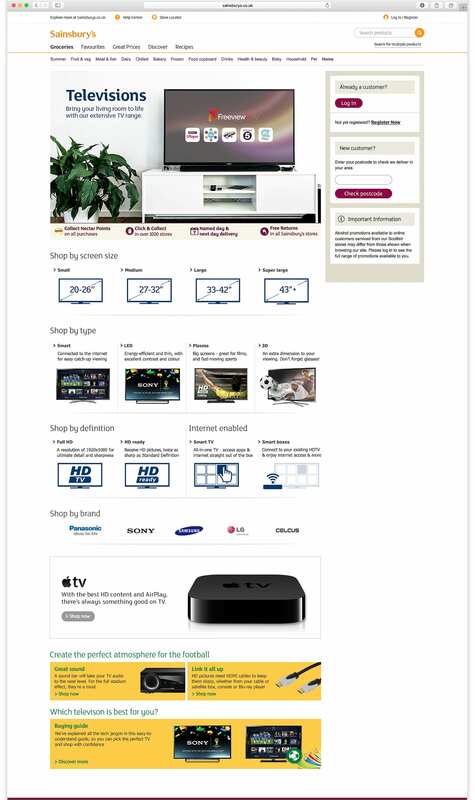 The categories are positioned in order of shopping preference specific to televisions or cameras from the research that was compiled to give the best user journey and experience. Each ‘shop by…’ section is simple but informative enough to help guide the user to what they’re looking for and where to navigate to next. 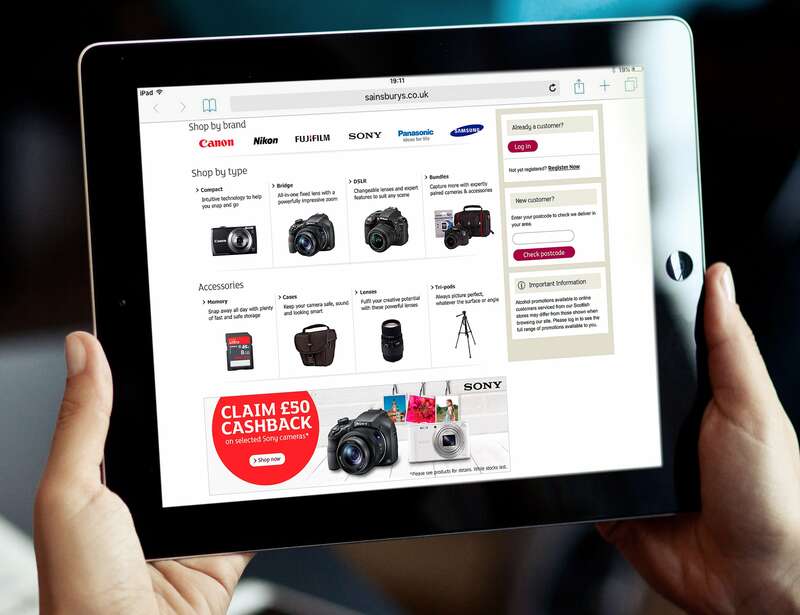 Below the main content is a link to a buying guide section for users that may still need more information or inspiration to make a purchase and also space for cross and up-sell’s that the trading teams are keen to push across the categories. The overall outcome gave vastly improved click through and conversion rates.